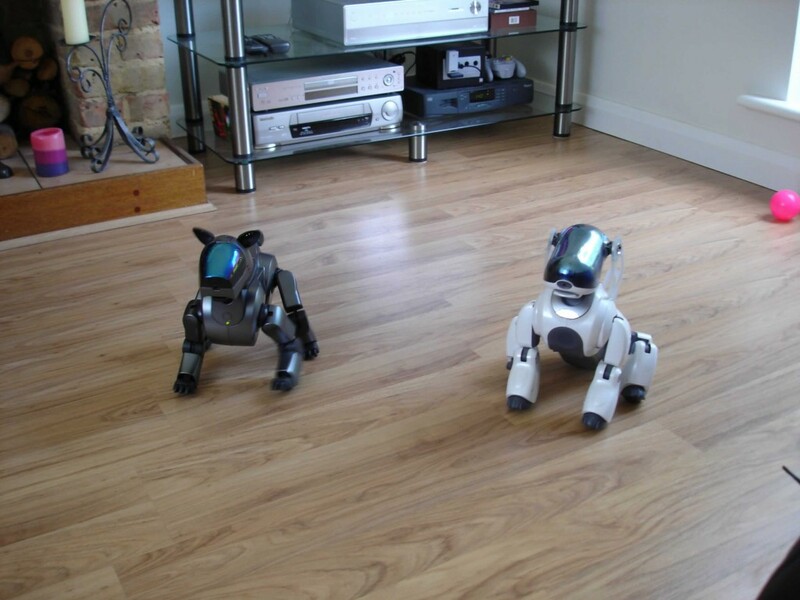 I’d like to introduce you to Deefer and Dexter, my two Sony Aibos. Deefer is an ERS-7 model (the white one) and Dexter is the older ERS-210 model. Seen by many as just toys they are a little more complex than that. With an AI that has the ability to learn and adapt over time, it is also possible to program them to do specific things. Using a piece of software called Skitter, as well as AiboHack’s YART software (an RCODE application) you can create personalities, make them dance and perform skits. I became quite deft at programming Aibos (if I do say so myself) and created a couple of personalities and dances for them. One of these dances was for a competition run by Sony in association with Daft Punk. The task was to come up with a dance to a 30-second clip of Daft Punk’s Technologik, video it and send it in. This video ended up coming 6th which I was more than happy with as it was my first ‘proper’ creation.